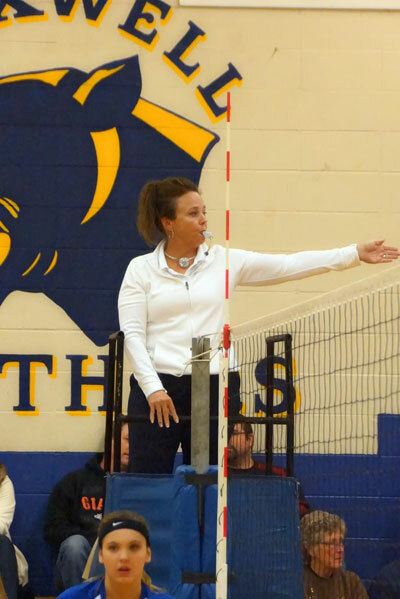 orthern California Volleyball Officials Association of Chico (NCVOA-Chico) is a non profit organization to provide volleyball officials to officiate at Northern California high schools. Merrilee Johnson founded NCVOA - Chico in 1975 after local coaches recruited her to better the volleyball officiating in the area. In 2000 she stepped down and we created a Board to continue running the association. Our association travels from as far north as Red Bluff to as far south as Rio Vista. Lassen High School in Susanville is our most eastern school and Elk Creek High School to the west. It is our goal to provide the local high schools with officials that have had precise training and knowledge of the sport of volleyball.